The primary research of the Laboratory of Colloidal Systems in Industrial Processes (« Système Colloïdaux dans les Procédés Industriels » i.e. SCPI, a research team of the « Centre des Matériaux » — Mines ParisTech) is devoted to studying (co)precipitation in aqueous solutions. Our objectives consist of providing robust tools to control particle size and morphology, with various industrial constraints in mind. In order to stick to industrially, economically and environmentally acceptable processes, we favour aqueous chemistry and emphasize the control over particle size and morphology thanks to simple physico-chemical parameters (pH, temperature...) and processes (double jet or homogeneous precipitation). Often the desired particles are not directly precipitated; instead a solid precursor (i.e., an amorphe) which is subsequently crystallized is produced. Uncoupling of amorphous precipitation and crystallization stages of particle preparation allowing the use of different physico-chemical conditions at each stage has been shown to be critical in controlling the nature and characteristics of the final particles. The laboratory combines materials and industrial process research. The particles studied are principally metal hydroxides and oxides synthesized by precipitation of an amorphe followed by crystallization, by either double-jet precipitation at controlled pH or heat induced homogeneous precipitation. 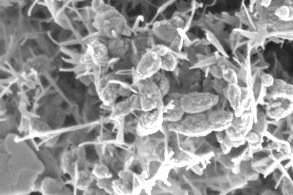 The lab is particularly interested in the role of pH on particle characteristics (size, morphology and crystallinity) in the double-jet precipitation of boehmite fibres, zinc oxide (with a morphology transition from non-starlike to starlike as a result of a strictly controlled pH change of only 1 unit) and nickel hydroxide. 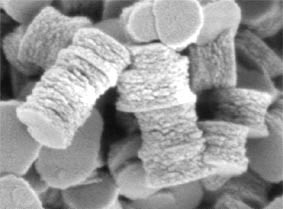 The decoupling of the precipitation and crystallization steps has been exploited for the synthesis of boehmite nanoparticles (of varying crystallinity), hafnium germinate and titanium dioxide. Heat induced homogeneous precipitation can be separated into 3 variants : synthesis of yttrium or magnesium hydroxycarbonates by urea decomposition, destabilization of aminocomplexes (nickel, cobalt) and thermohydrolysis (titanium dioxide, tin oxide). 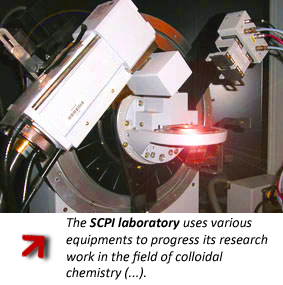 The studies at the laboratory are often conducted through direct collaboration with industry or as part of consortium in ANR or european projects. FERROENERGY — preparation of colloidal suspensions for the ferroelectric energy conversion. PARTOX — synthesis, characterization and cataloging of nanoparticles for toxicity studies. 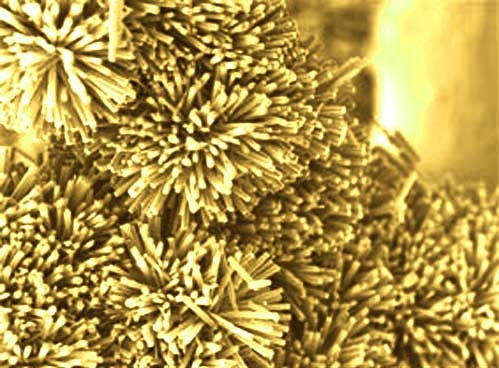 ONE — nanostructuring of nickel hydroxide for battery. TECTONIC — development of coprecipitated particles as precursors of ceramic-type proton conductors. POCANA — synthesis of boehmite particles coated with silica for use as fillers in polycarbonate. PHOTOMEM (Photocatalytic and membrane technology process for olive oil mill waste water treatment) — the synthesis of photocatalysts supported by magnetic particles. IDEAL CELL (Innovative Dual mEmbrAne fuel Cell) — synthesis of particles of cerium oxide and barium cerate doped to develop ceramics of this new concept of fuel cell. Energy, Materials & Processes (EM&P) staff from the CEP (nanomaterials for energy, with focus on TiO2). 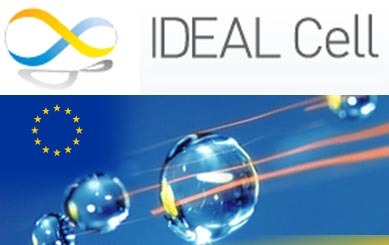 Centre des Matériaux (IDEAL CELL, TECTONIC, PARTOX + research about TiO2). École des Mines d'Alès (POCANA). Institut de Chimie de la Matière Condensée de Bordeaux (ICMCB) (nickel hydroxide, inter Carnot ONE).